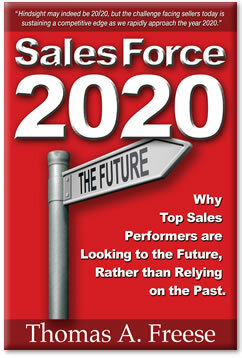 SalesForce 2020 is the only book of its kind. It’s a book about the future. While hindsight may be 20/20, it has become increasingly clear that many of the older school selling tactics that have been accepted and touted for decades no longer make sense as we rapidly approach the year 2020. Today, salespeople and managers are hungry for specific sales strategies and selling techniques that will give them an ‘unfair’ advantage in their respective markets, rather than reverting back to the outdated logic that has plagued traditional sales approaches for the last 30+ years. Is this book an indictment of old school sales methods? In a word—Yes. 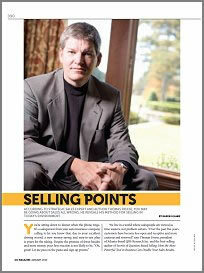 It’s also a road map to show sellers how to gain a proven and differentiable advantage moving forward. Enjoy! Come Join the Next Generation of Sales Enablement. Have you noticed that companies spend millions of dollars telling salespeople what to say, but they spend almost nothing teaching them what to ask? While the typical sales process has been defined many times over, organizations assume salespeople already know how to ask the right questions (at the right time), in order to engage potential buyers in a mutually beneficial business relationship. …which is much more than just probing to uncover customer’s needs. The evolution of the QBS Methodology represents the culmination of a career-long journey—one that has helped me realize that questions are more than just staples of everyday conversation. Perhaps this marks the beginning of a new journey for you as well; not only as a motivated reader, but as a student of Question Based Selling. Congratulations on taking the first step. I wish you the best!